Americans Spend More On Legal Weed Than They Do On Cheetos! The latest announcement about the progress of the marijuana economy states that Americans spent more money on legal weed last year than they did on their favorite munchies – Cheetos, Doritos and Funyuns. The latest announcement about the progress of the marijuana economy states that Americans spent more money on legal weed last year than they did on their favorite munchies – Cheetos, Doritos and Funyuns. The number might actually shock you into the potential of the cannabis market to flourish into the biggest business opportunity the world has seen in a while. Despite the fact that there are still political and economic hurdles to overcome, it looks extremely promising for the American cannabis economy. The USA could certainly use the economic leg up, and the rest of the world could follow by example. The amount of profit that came out of one year of the sale of legal weed in the USA is almost half a billion dollars more than Doritos, Cheetos and Funyuns combined. The figure sits at $5.4 billion for the year of 2015 and is only expected to increase in the following years. To give an indication of where that sits on the profit margin for American products, the combined profits of Doritos, Cheetos and Funyuns was at $4.9 billion in 2015. This doesn’t account for the sale of illegal weed in the USA, whose profit margin is undoubtedly higher than those we can measure in the legal market. As more of the illegal market is brought into the legal one through legalization around the USA, it is expected that the profit margin will continue to rise. The estimate is that it will continue to rise 30% each year as states make the move towards legalization, and this will continue for the next five years. This means that the American cannabis industry could be looking at a profit margin of $22 billion by 2020. Imagine What We Could Do With The Money! It is nice to see that Americans are choosing to invest their money into products that are going to give back to the community. 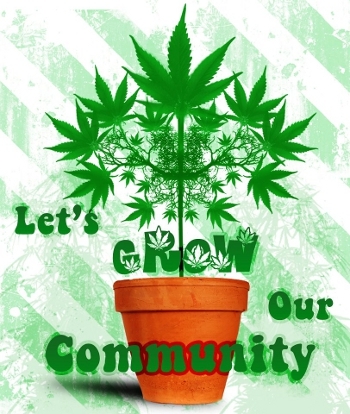 At the core of the cannabis culture is consciousness about society and about the community. There’s no limits on the amazing things the USA can achieve through the cannabis industry. There was $1 billion in medical marijuana sales in California alone and almost $1 billion in sales of legal weed in Colorado. The first obvious way that marijuana encourages the consciousness of the planet is the fact that growing cannabis cultivates land – not eradicating it to put apartment blocks. With states looking at the potential economic benefit of over $1 billion per annum, the USA is looking at a more fully supported health system. There are also states using marijuana profits to support school programs among a plethora of other ways to help the community grow. With more Americans spending money on legal weed than on their favorite munchies is saying something about the shift in consciousness. 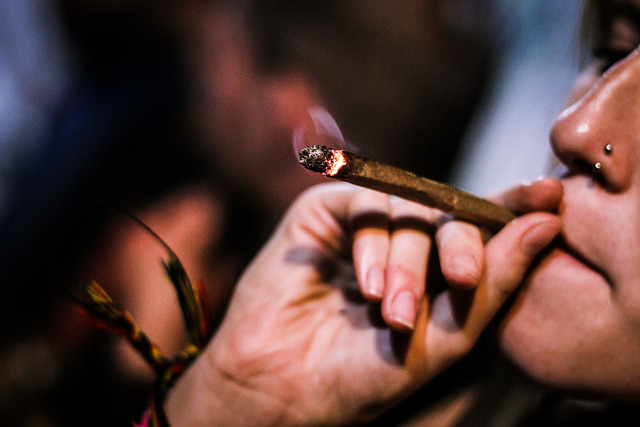 The message of marijuana, through its cultivation, its use medically and its legalization is consciousness. There are still hurdles that the cannabis industry has to overcome, the most obvious being the federal and state inconsistency in policy. In order for the cannabis industry to grow the federal government is going to have to accept it as legal and end federal interference in state action. When this change occurs at a federal level, it is natural that the banks’ willingness to participate will increase because there will be no opportunity for federal scrutiny. In fact, when this occurs the industry around the USA will continue to flourish while the community continues to reap the rewards of it. It will be one of the first industries in a long time that continues to give back to the people – definitely more than Doritos, Cheetos and Funyuns can give! Let us know your thoughts on our social media page or in the comments section below.